I wasn't planning to post an update on Chris since it was only a concern to shipping over the far open waters of the northern north Atlantic. I couldn't resist though. This morning Chris is displaying a large eyelike feature even though it is not a hurricane. Sometimes tropical cyclones develop this type of apperance as they become extratropical or lose their tropical characteristics. Chris is moving over somewhat cooler water and will likely make its transformation by late today. 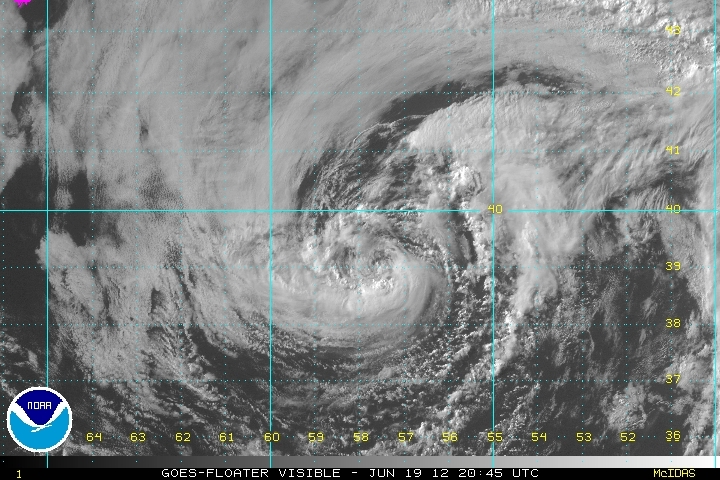 As of 8 am edt / ast Chris was centered at 40.5 N / 43.5 W or about 640 miles SE of Cape Race, Newfoundland. It was moving ene at about 20 mph. Top sustained winds estimated at 65 mph ( 60 mph NHC advisory). Pressure was estimated at 995 mb. Chris is becoming extratropical in the northern north Atlantic. Well, NHC decided to upgrade Chris to a minimal hurricane at 11am. That eye just looked to tempting to ignor! Winds at 75 mph. It is still predicted to become extratropical during the next 12-24 hours. Chris looks rather poor on satellite imagery this morning. 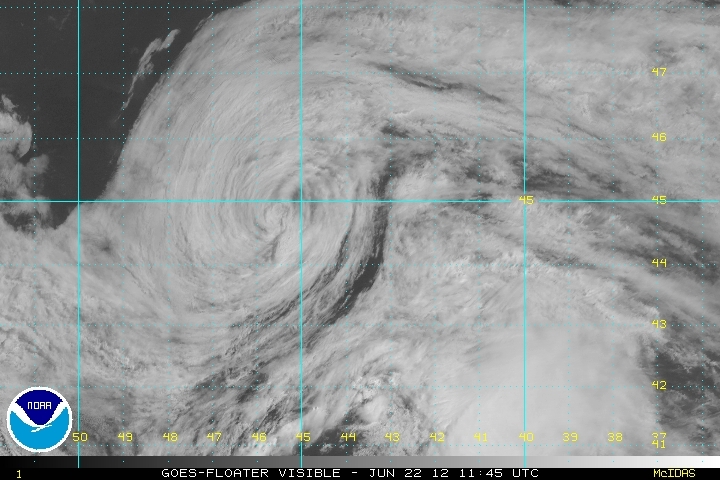 It's transformation to an extratropical cyclone is just about complete. It did display a rather impressive eye for the high latitude that its at yesterday. Look for NHC to drop Chris by late today. 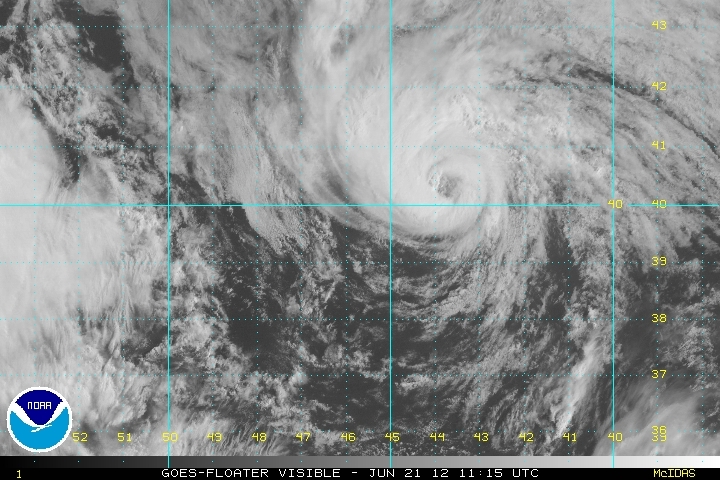 As of 5 am edt / ast Chris was centered at 44.8 N / 44.5 W or about 435 miles ESE of Cape Race, Newfoundland. It was moving NW at about 14 mph. Top sustained winds estimated at 45 mph ( 50 mph NHC advisory). Pressure was estimated at 989 mb. Chris should be extratropical soon.